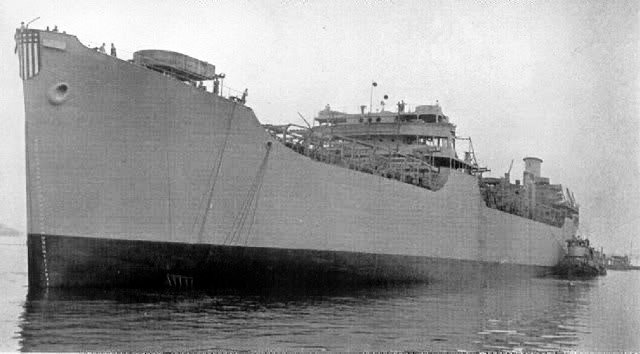 Laid down, 3 April 1944, as SS Esso Roanoke, a Maritime Administration type (T-2-SE-A1) tanker hull under Maritime Commission contract (MC 1749) at Sun Shipbuilding and Drydock Co., Chester, PA. 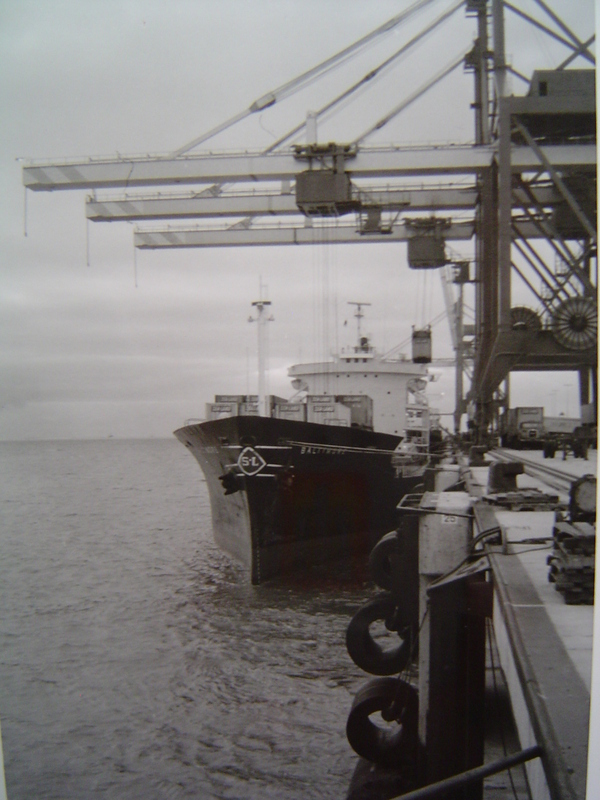 Returned to the Maritime Commission, 29 September 1955, for lay up in the National Defense Reserve Fleet, James River Group, Lee Hall, VA. 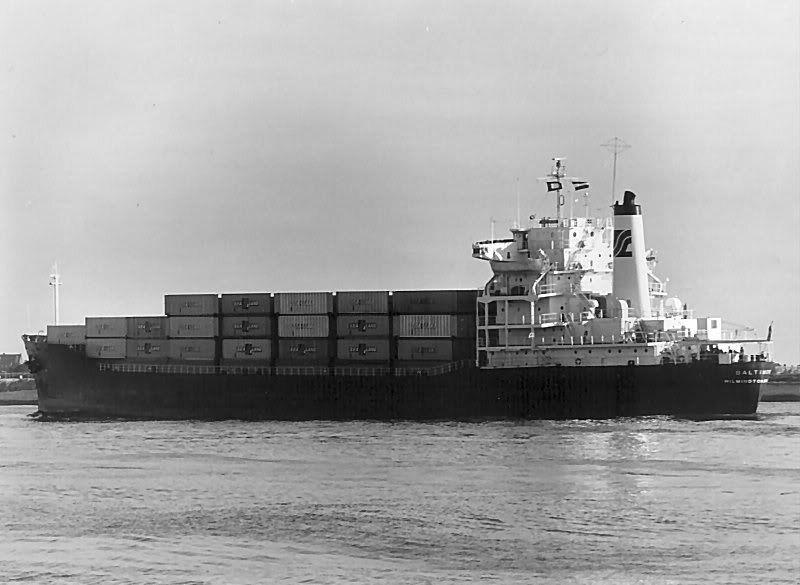 Returned to the Maritime Administration (MARAD), 21 October 1957, for lay up in the National Defense Reserve Fleet, Beaumont TX. 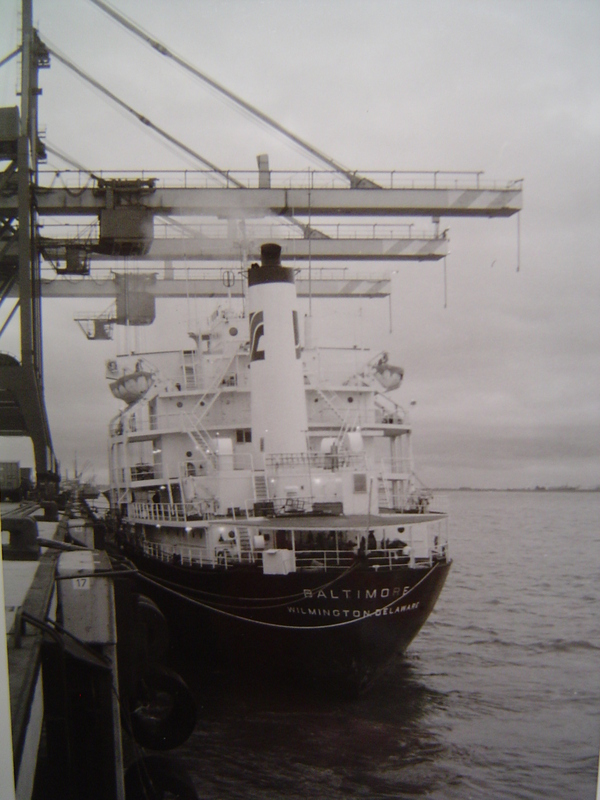 Converted to a container ship in 1969 at Willamette Iron and Steel Corp., Portland, OR. 37k SS ESSO Roanoke launching, 30 June 1944, at Sun Shipbuilding & Dry Dock Co., Chester, PA.
54k Sea Land Services containership SS Baltimore under way, date and location unknown.